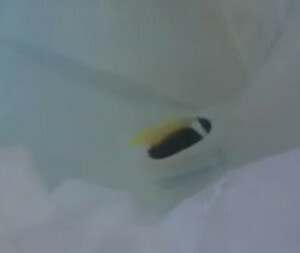 The inimitable Koji Wada of BlueHarbor has added yet another feather to his cap with what is likely the first specimen of Abe’s Angelfish to ever find its way into a retail aquarium store. 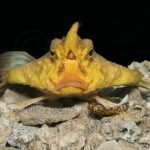 Collected from the Coral Sea at the absurd depth of 140 meters by Tim Bennett of Cairns Marine, this ugly little fish is one of the most spectacular finds in recent memory. 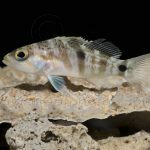 There’s remarkably little known about C. abei, especially when it comes to where it occurs and what other angelfishes it is most closely related to. At the time of its description, several other genera were put forth as possible relatives, though it didn’t quite fit into any of them. It’s current placement in Centropyge seems to have more to do with its overall size than any particular morphological trait it shares with the group, which makes perfect sense given that we now know that these pint-sized pomacanthids are not a natural group, having evolved independently on several occasions. 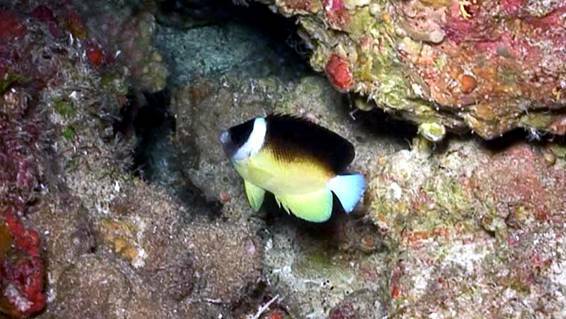 Unfortunately, the most recent phylogenetic review of the angelfish family by Gaither et al 2014 wasn’t able to include C. abei in their genetic analysis, meaning we are still very much in the dark. The discovery of C. abei in the Coral Sea represents a large range extension, as the nearest confirmed locality had been from Manado in Northern Sulawesi. 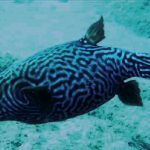 Another possible sighting is claimed from American Samoa, and there are earlier records from Palau, Yap, Pohnpei and Miyazaki, Japan. This map illustrates every sighting I’m aware of, which indicates that this species is either widespread in the West Pacific or, alternatively, widespread in the Central Pacific, with most sightings having occurred at the edge of this ecoregion. It’s hard to know which of these is the more likely scenario—even the record at Sulawesi is from a location known to occasionally get Micronesian waifs. Of these specimens, the only shallow record was a small individual found at just 5 meters in Japan, while all others have been well below 100 meters. Temperatures at this depth are usually below a thermocline, with some having been found in near 70℉ water and others well below 60℉. Obviously, a good aquarium chiller is called for to keep this one healthy long-term. 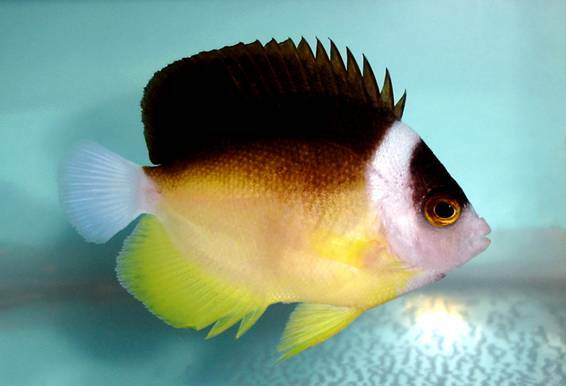 It’ll be interesting to see how much this specimen sells for, because, as mentioned previously, this is a rather unattractive angelfish. 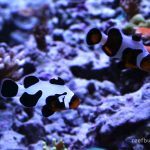 It’s hard to imagine such a dull species fetching the sorts of absurd prices we’ve come to expect from the likes of the Peppermint or Personatus Angelfishes… though this is, of course, far rarer in captivity than either of those at the moment. 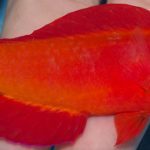 Wherever it ends up, hopefully its new owner will be willing to contribute a fin clipping so that we might at last determine where this enigmatic fish fits into the big picture of pomacanthid evolution.